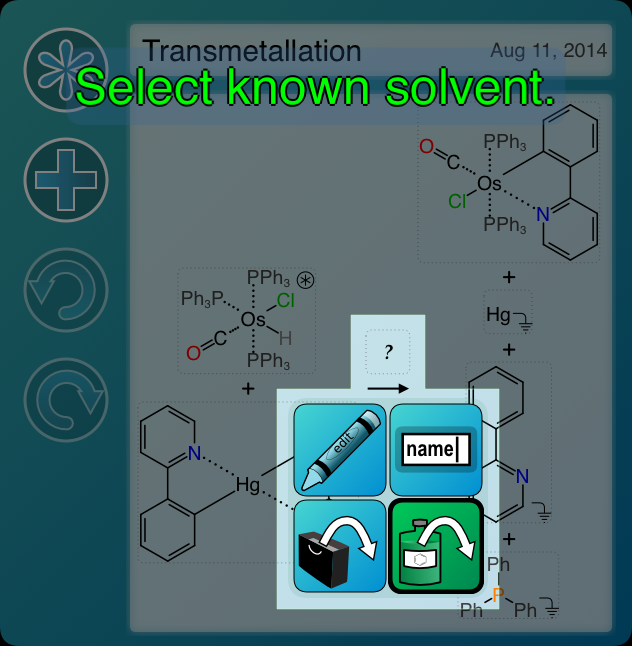 The next update of the Green Lab Notebook app brings the environmental solvent properties to the selection dialog, which is a convenient way to insert solvents into a reaction scheme. 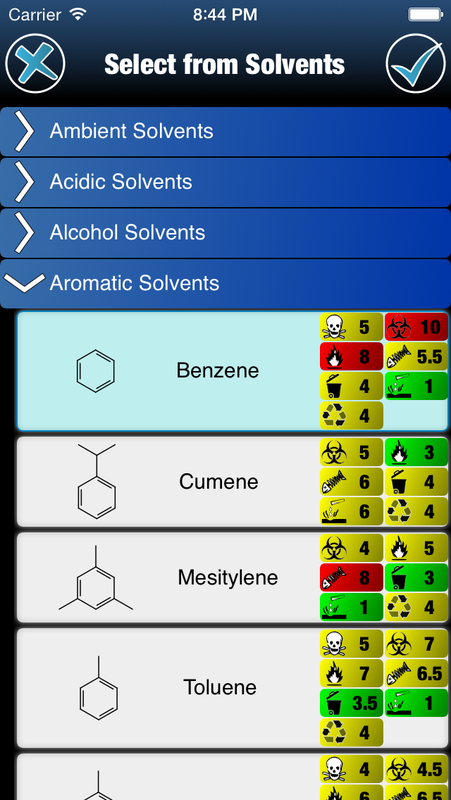 There are two changes in the solvent selection process that are different in v1.0.1 (currently awaiting review on the AppStore): the solvents are separated into categories rather than being in one big list, and the environmental property glyphs are displayed in the selection list (left). These colour-coded ratings provide a quick reference to assist with solvent selection. The new version also brings with it some improvements to graphical renderings of experiments, as described in the previous post. Multistep experiments are now available in a variety of different graphics formats, including PNG, SVG, EPS and Microsoft Word documents.